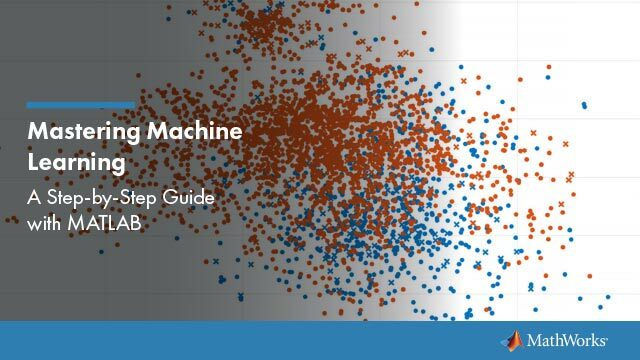 This example shows how to implement hard clustering on simulated data from a mixture of Gaussian distributions. Gaussian mixture models can be used for clustering data, by realizing that the multivariate normal components of the fitted model can represent clusters. Simulate data from a mixture of two bivariate Gaussian distributions using mvnrnd. 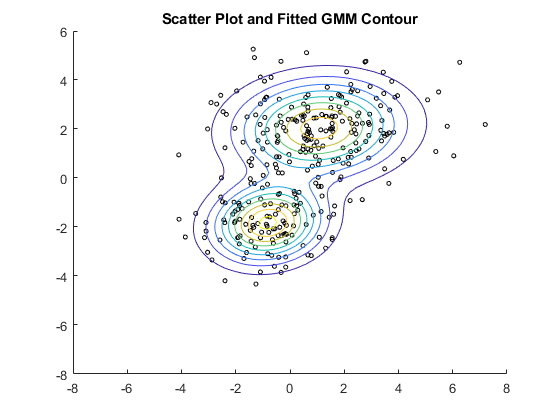 Fit a two-component Gaussian mixture model (GMM). Here, you know the correct number of components to use. In practice, with real data, this decision would require comparing models with different numbers of components. Also, request to display the final iteration of the expectation-maximization fitting routine. Plot the estimated probability density contours for the two-component mixture distribution. The two bivariate normal components overlap, but their peaks are distinct. This suggests that the data could reasonably be divided into two clusters. 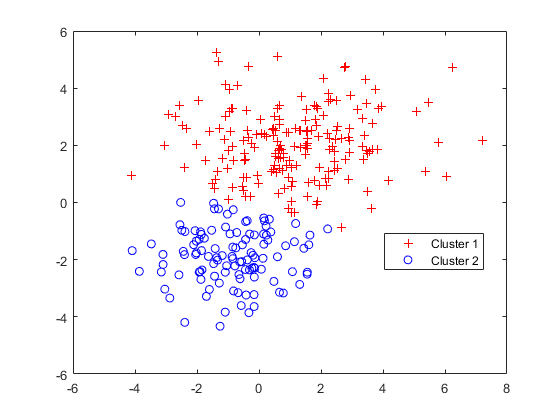 cluster implements "hard clustering", a method that assigns each data point to exactly one cluster. For GMM, cluster assigns each point to one of the two mixture components in the GMM. The center of each cluster is the corresponding mixture component mean. 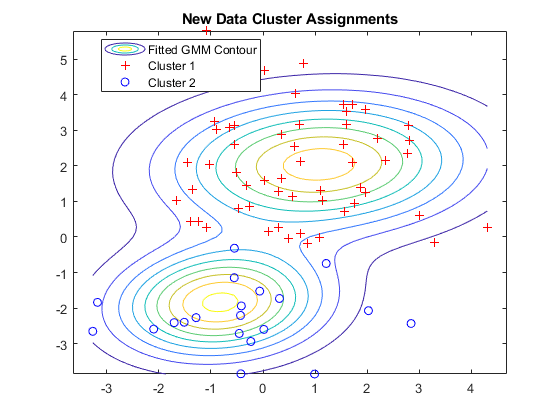 For details on "soft clustering," see Cluster Gaussian Mixture Data Using Soft Clustering. Partition the data into clusters by passing the fitted GMM and the data to cluster. 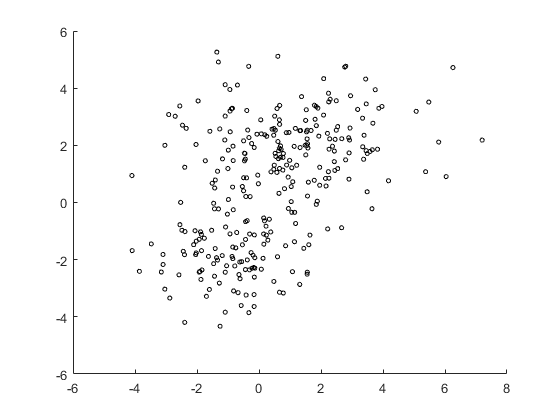 Each cluster corresponds to one of the bivariate normal components in the mixture distribution. cluster assigns data to clusters based on a cluster membership score. 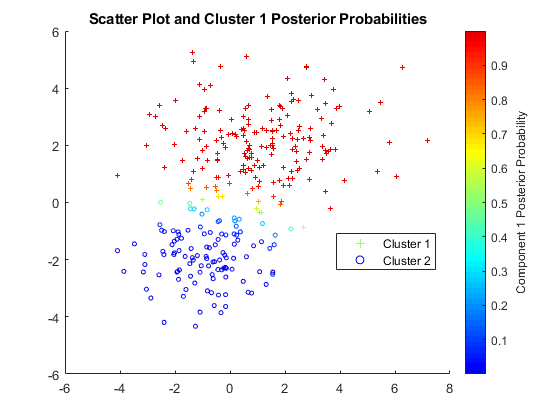 Each cluster membership scores is the estimated posterior probability that the data point came from the corresponding component. cluster assigns each point to the mixture component corresponding to the highest posterior probability. Estimate and plot the posterior probability of the first component for each point. P is an n-by-2 matrix of cluster membership posterior probabilities. The first column contains the probabilities for cluster 1 and the second column corresponds to cluster 2. You can also use the cluster method to assign new data points to the mixture components found in the original data. Simulate new data from a mixture of Gaussian distributions. Rather than using mvnrnd, you can create a GMM with the true mixture component means and standard deviations using gmdistribution, and then pass the GMM to random to simulate data. Assign clusters to the new data by pass the fitted GMM (gm) and the new data to cluster. Request cluster membership posterior probabilities. For cluster to provide meaningful results when clustering new data, X0 should come from the same population as X, the original data used to create the mixture distribution. In particular, when computing the posterior probabilities for X0, cluster and posterior use the estimated mixing probabilities.